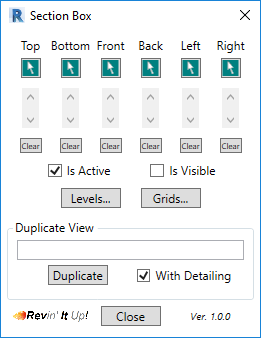 Section Box for Revit allows you to incrementally move each of the six sectioning planes (Top, Bottom, Front, Back, Left and Right), giving you an immediate visual of your sectioning. You can also select a point in your model to locate any of the six planes. 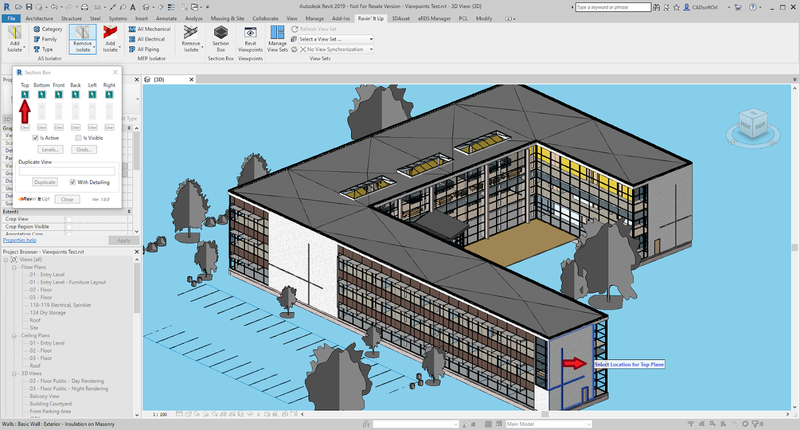 Sectioning can also be done by Level or by Grid Lines. 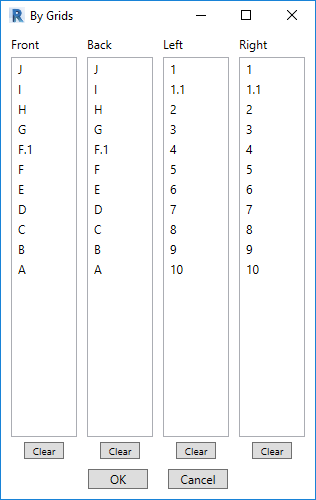 Section by Level and Section by Grids is not available. 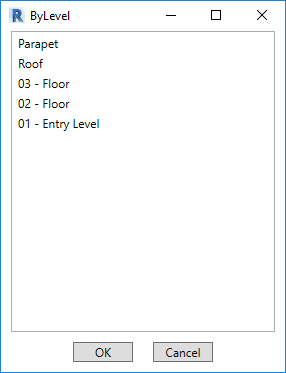 Version 1.1.0, 2/4/2019 – Initial Release. 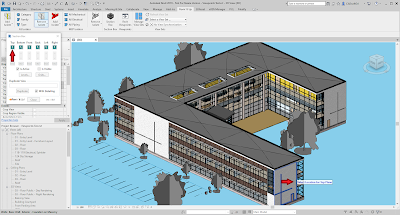 Section Box for Autodesk® Revit® is brought to you by Revin It Up! It's priced at US $19.00.